Move over ping pong table...this basement space is now needed for a more sophisticated purpose. 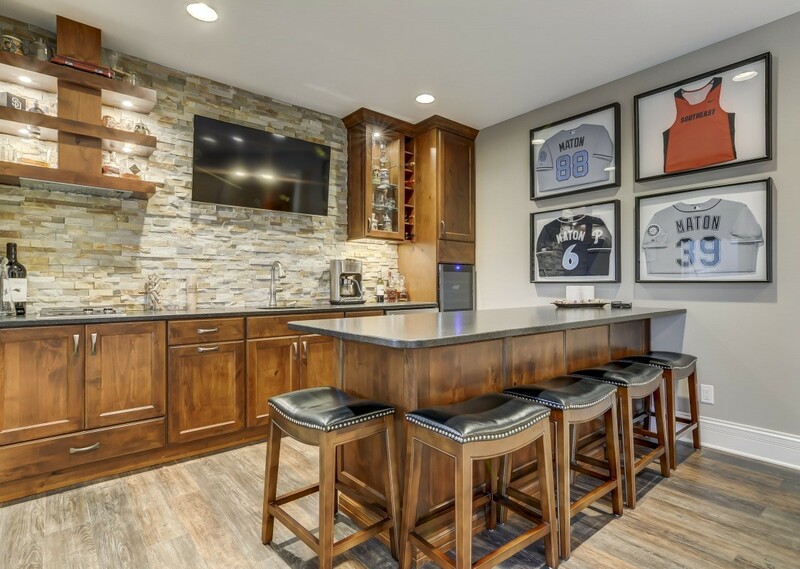 As kids got older and the parents were able to reclaim basement space, the idea of this sophisticated basement bar was born. What a nice blend of comfort, style, function and class in this space that is family and friend friendly. 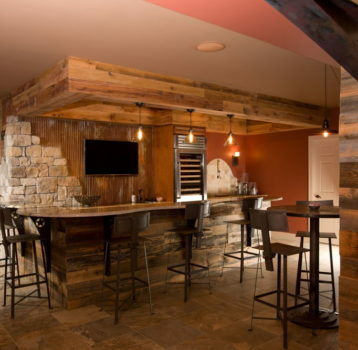 This basement bar design is a home run for sure. Blending the warm medium-dark tones of rustic alder cabinets (Autumn stain and Ebony glaze), the natural dry-stacked stone on the backsplash/walls, wood plank luxury vinyl tile flooring, and brushed finish Black Pearl granite gives the perfect level of warmth and maturity to our new favorite basement space. Lighting design just takes it to the next level. 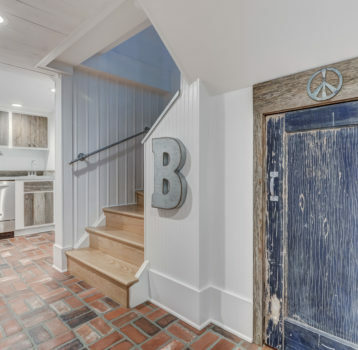 The homeowner's list of desires required creativity and custom cabinetry design to carefully weave all the pieces together into this approximately 12' x 12' blank slate without overwhelming the space. Don't miss a single detail or a single appliance as you browse through the pictures. 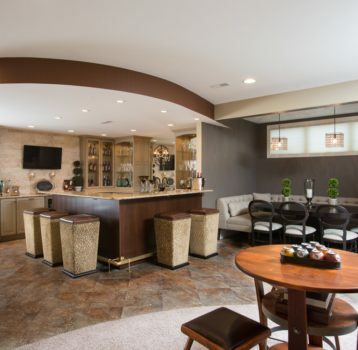 Counter height bar peninsula ensures comfort for all ages and keeps the room open to other activities. It's pretty yet masculine and inviting to all.